Adventures into Citizenship and Service 2017 takes place from Sunday, 02 July till Saturday, 08 July. We aim at gathering some 50 learners in Grades 11 and 12 from all over the Western Cape, Northern Cape and possibly some from further afield such as Eastern Cape, so that these young people can be introduced to the ways in which our society structures itself. They are introduced to the systems which lead to the efficient and effective running of the state, the provinces and a city such as Cape Town. This includes visits to Parliament, to the High Court WC and to the CT Civic Centre. They also have an opportunity to discover academic options at the University of the Western Cape and Cape Provincial University of Technology (CPUT). Glencairn Youth farm and others. An introductory Barn Dance, African Drumming and Ten Pin Bowling are interspersed with some motivational talks about issues both current and meaningful to the youth of today. Steven, Irene, Karin, Rainer, Jeanne, and Justin and Alan. On one of his visits John Spittal of the Rotary Club of St. Andrews Kilrymont, Scotland, visited the school to meet learners that his club were sponsoring on the Adopt a Learner Project. While there he identified a need for a Library which the School was trying to establish. When he returned home his Club applied for a District Grant to help set up a library. In the meantime School Aid UK provided funds to set up the library by providing shelving, furniture, bean bags and 4000 books. Regular meetings, fellowship and involvement in a community projects is the heart of any Rotary club, the Cape Town club is no exception. Our club is involved in a number of projects. We have made significant contributions to the welfare of Cape Town communities since the Club’s inception, and were instrumental in the founding of the Community Chest in 1927. 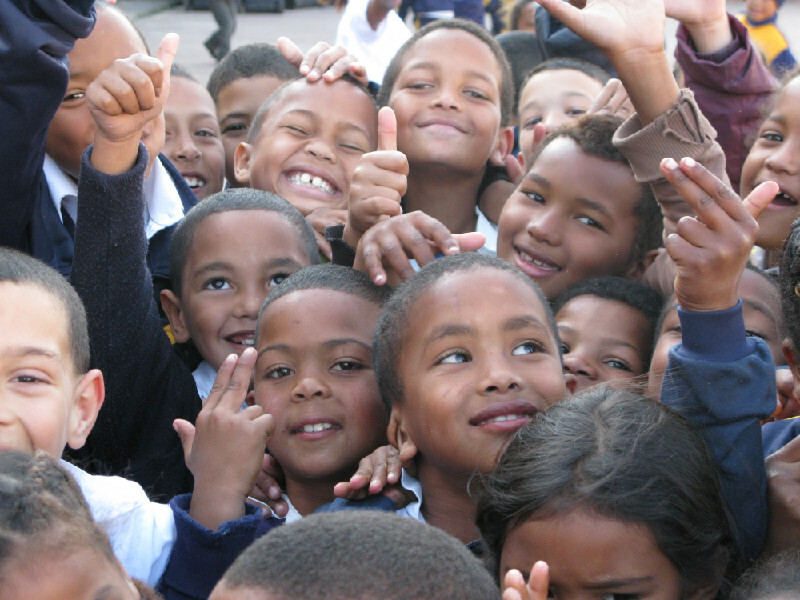 This organisation supports a number of welfare projects in the greater Cape Town area. The Club, through its community service projects, provide a wide range of services for persons across the lifespan. Senior Security – a project which supports elderly persons with limited means to live in subsidised accommodation. •The Rotary Camps at Glencairn and Strandfontein, which offer well-run camping facilities. These are regularly utilised by school, church and welfare organisations. •Adopt a Learner – a project whereby needy learners are ‘adopted’ by individuals or clubs from around the world. The learner’s school fees and other educational needs are met through this very worthwhile project. How will the sponsor remain in communication? The principle of "scholarstic assistance to underprivileged children" was established in the late 1920's.Indeed, an item in the 1930/31 president's report notes that "a golf tournament raised the substantial sum of 200 pounds for the Benevolent Fund for commercial and technical training of fatherless Girls".In 1932/3, 30pounds was allocated for bursaries at the Trafalgar School.By then,40 girls had successfully been trained and placed in jobs and this was followed by a decision to devote money to boy's too. In 1946/7, the first Rotary scholarship to UCT was granted, and in 1954/5, the student loan fund made it's first selections.Four years later, The Bishop Lavis Scholarship Fund was established to give assistance to poorer children of school leaving age for academic studies. 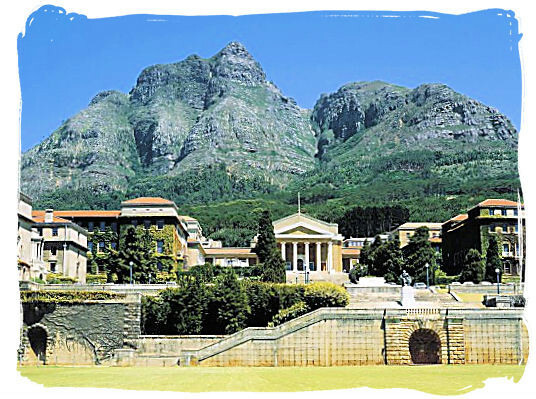 In 1974,over 70 students(assisted by the loan fund) had qualified as medical practitioners, accountants and so on and the grants amounted to R26,000.However, loses were being made by past borrowers emigrating and not completing repayments;this resulted in a decision that only interest on invested capital would be used for scholarship awards.Generous donations in 1975 let to the Student Bursary Fund superceding the loan fund.The Bishop Lavis fund subscribed nearly R6000 and the Anns R8675, betweeen 1976 and 1988 when it was decided to wind up the loan Fund and Bishop Lavis Fund because of the difficulty in collecting small loans from the scores of students hence resulting in the foramtion of the Educational Trust. The Rotary Club of Cape Town supports the dynamic and very active KIDS Interact Club of the Deutsche Schule - German International School, Cape Town. These incredible youngsters do massive and exciting projects that uplift the lives of thousands around the Peninsula. The Glencairn Youth Camp, a 300 hectare paradise of fynbos-covered mountainside, on the fringes of the Atlantic ocean is one of the best kept secrets of South Africa’s great outdoors. It offers well run camp[ing facilities which are regulalry utilised by school, church and welfare organisations. The camps were started 58 years ago by William Heyns, a physical training teacher at the South African College School (SACS) who saw the need for establishing a rural recreation camp where kids, ordinary and underprivileged, could holiday in an environment that would uplift their spirits and heighten awareness of the natural world around them. When Heyns died in 1942 he bequeathed the land to The Gordon’s Missionary Society and to the Rotary Club of Cape Town.The Rotary Camp Organization, which was formed to run the camp for the benefit of the young people, built the camp’s first fully equipped Smuts Hostel which accommodated 68 children in two dormitories and their supervisors in a separate rooms. Both of these camps have multipurpose halls suitable for dining, assembly, discussions and games activities. Small swimming pool/swings/braai facilities (bring your own wood) volley ball field. The camp have sports fields, kiddies play area, three swimming pools. The camp is a short 1.5km hike to the Glencairn Beach, one of the many golden beaches on the False Bay Coast between Fish Hoek and Simonstown. By train: The Metro Cape Town - Simonstown suburban train stops at Glencairn Station. Camp fees and application forms obtainable from the booking office. During 1972,Mrs. H.M.Lidderdale brought to the attention of Rotarians the needs of well educated senior citizens who had served their country but,though no fault of their own, faced financial adversity. Her Generous personal dontation helped such people to continue to live in their own homes or in non-institutionalised accomodation at subsidised rentals and on her death, she bequearthed R250,000 to continue the work.Over the years,senior security has benefited from further donations and substantail bequests from estates such as those of Mrs.F.Douglas,Mrs.M.B.Marshall and the Hill Trust Family Trust. These funds have largely been used to buy individual flats ,thus ensuring not only the protection of the real capital value of the fund's assets,but also provising increased benefits to the tenants by subsidising rentals which really only cover the relevant levies.In recent years, the club has made two substantial purchases -12 Units were bought in 1994/5 in an Hermanus Communicare project at a cost of R1,201,500 and the entire project was named in Honor of the donor followed by a Second purchase,in 1997,was of 10 residential units at a cost of R715,000.The price, well below the market value of R1,371m, was achieved because the club undrtook to honor the seller's undertakings to the elderly tenants that rentals will be subsidised.Seven of the ten units are outside Cape Town and as they become vacant,they are sold and the proceeds reinvested in Cape Town. Custom designed website template for Rotary Clubs. Contact us for more information.